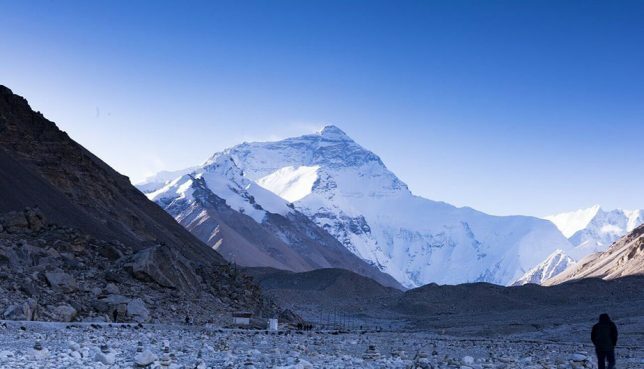 Everest Base Camp Trek in August Doable? Home / 10 Best Treks in Nepal – The Ultimate Guide for Trekking in Nepal / Everest Base Camp Trek in 2018: The Ultimate Guide / Everest Base Camp Trek in August Doable? The monsoon begins to come to a slow halt. The hot summers also wave goodbye. This creates an atmosphere where you don’t have to fear your treks being sweaty or too wet with rain. This is why the trekking in the Everest Base Camp starts to pick up from the month of August. There are also major festivals that are celebrated in Nepal this month. This creates a vibrant mood amongst people in the country. The trekkers also feel this joyous mood and enjoy their treks accordingly. But there are a few things that you need to be wary of. The monsoon has not completely gone away in August. So, you need to pack your items keeping in mind that light showers can brush you along the way. Preparation of your trek: the hiring a guide/porter to keeping track of the weather becomes really important. The monsoon in this month, as well as the preceding months, turn the forests into a dreamland for viewing. Now, let us take a look at all you need to know about trekking in the Everest Base Camp in the month of August. The weather is fairly warm. The temperature, very rarely, along your trekking paths go below 0°C. So, you can forget about trekking in cold and uncomfortable climate. The warm temperatures also mean that if there is any wind, its effect gets cancelled out. Also, the periods of time when it can get cool after a rain gets eliminated. The warm sun will always keep the possibilities of the extreme cold away. 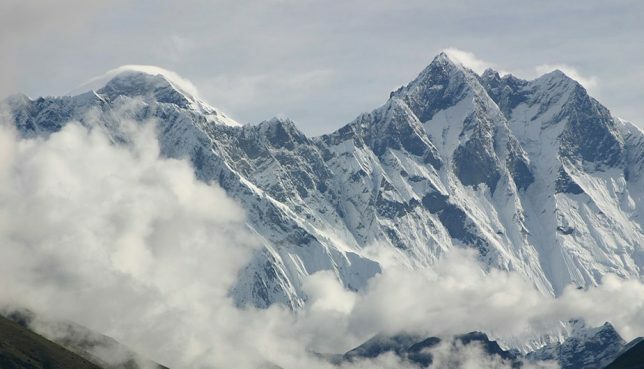 It is a well-known feature of the monsoon in Nepal that it affects the Himalayas lightly. You should expect most of the rain to take place in the latter parts of the day when you are comfortably resting in the tea houses or hotels along the way. If you know anything about mountains, you should have already noted that there is pretty warm temperatures for a mountain. Three of the biggest festivals in Nepal- Nag Panchami, Janai Purnima, Gaijatra and Krishna Janmashtami are beautifully celebrated in the different corners of this country. The amount of rainfall that takes place begins to fall drastically. If you should come in the final weeks of August, you will experience a very low amount of rain. This makes for drier trails to walk in. Fresh air, wonderful sunrise, and scenic sunset are some of the most beautiful of the year. Light breeze, when it does blow, against your body makes the viewing even more awesome. All that means is that the Sagarmatha National Park invites you for beautiful viewing too. The Sagarmatha National Park is a wonderful assembly of plants that grow in the alpine region. The cherry red Rhododendrons along the way is a sight to behold. Your flights might be canceled in this month if the rainfall becomes a tad too heavy. This also means that you have to go slow on your treks. If it rains incessantly for a day or two, you might have to extend your trip by a day or two. You should consider the fact that such unfortunate circumstances might result in an extension of the day you spend in the Everest region. The same problem can also result in your international flight getting delayed. An extra few days will come in handy! August month calls for taking guides along with you. The number of people who trek this month is quite low. So help, in case you are down with an injury, might not be available. 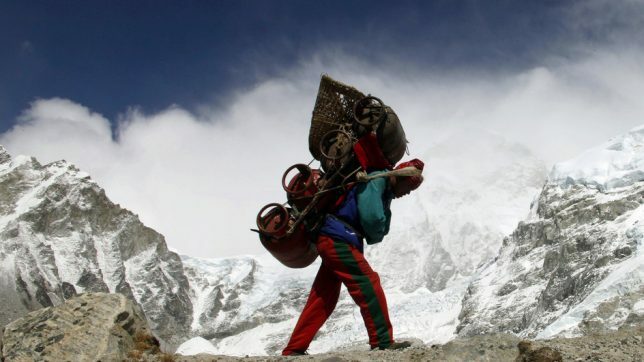 Hiring porters and guides in Nepal is very cheap. There is nothing better than having your shoulders free from the burden of carrying your backpack. There will be plenty to talk about with guides and porters. They’ll help you appreciate the culture and tradition of the place better. Guides and porters are known to give you proper mental and physical boost along your trek whenever you need it. They can turn out to be lifelong friends too. Looking at the news of weather forecasting given by the meteorological departments of Nepal will be a very good way of tracking the weather. Not to forget, it will be safe too! Guides and porters are also good at predicting the weather. They will also give proper advice about when you can enjoy the best views of the mountains. They sometimes predict the weather with such ease and will give you clues to how the weather will be like when it is likely to rain. Nothing like having their rich experience about the weather of the region! Visit this page for a comprehensive list of things you need to pack. Jiri to Everest is an extensive trek that lasts for 26 days. A good way to get acclimatized to the altitude of the Everest region, Jiri to Everest trek makes a wonderful and challenging trek. Jiri has an altitude of 2000 meters. With a small gain in altitude each day, you will eventually go to the glorious Everest Base Camp at an altitude of more than 5000 meters. People who try out going to Everest Base Camp from Everest are least likely to suffer from the altitude. It also offers a good challenge to all trekkers whether you are a beginner or a professional because you trek for close to four weeks. 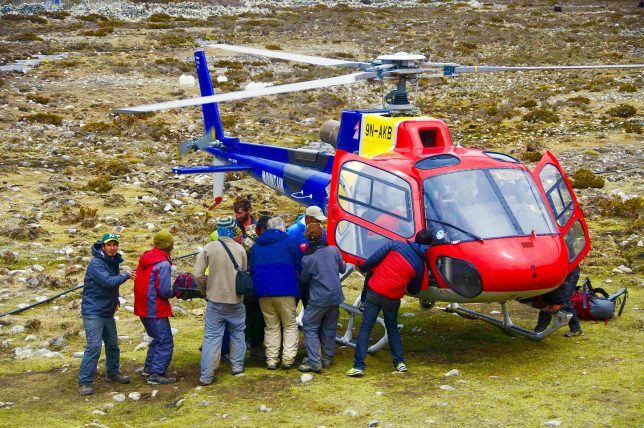 If you choose the Everest Helicopter tour, you will be able to get to Everest Base Camp in one day. If the flight gets canceled due to weather conditions, you will be fully refunded. You will also have a medical backup in your trip. An easy and comfortable flight from Kathmandu to the Base Camp and Kala Pathar will be waiting for you. You will go to the Sagarmatha National Park and enjoy a beautiful breakfast in the Himalayas. The awesome features and wonderful trails of the Everest High Passes trek are for anyone who wants to see as many places and as many mountains that the Everest region has to offer. 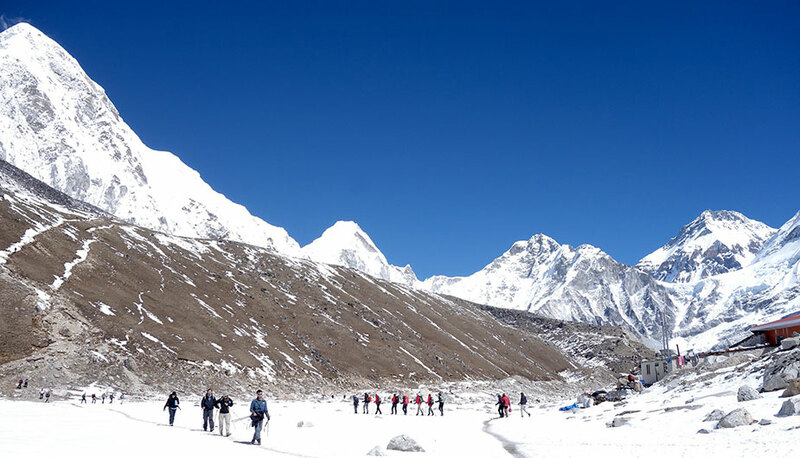 Ngozumpa glacier, Gokyo valley as well as three other high passes in the Everest region are the standout features that you can witness if you complete the Everest High Pass trek. In addition, there are Ama Dablam, Thamserku and of course the Everest that will be waiting to amaze and capture your imagination. 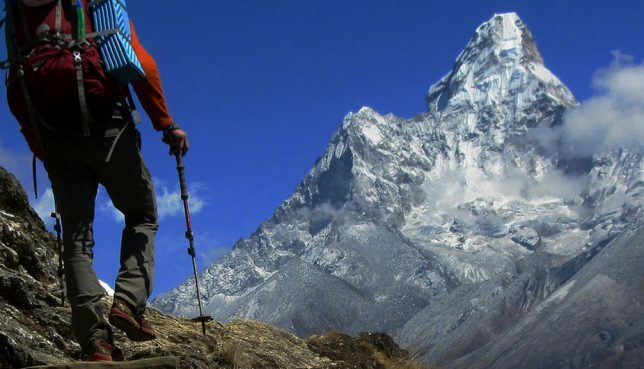 There is absolutely no month in which you cannot enjoy the thrill of trekking to Everest Base Camp. So, August is no different. Beautiful festivals, drop in the monsoon rainfall, and a slight decrease in the temperature makes trekking to the Everest Base Camp doable in August. All you’ll require is looking over the things that I have written in detail and choose the best available trek for you so that you maximize the fun that you have while trekking in the Everest Base Camp.